Boek bij de W&P Star Finder 2102-D. The Star Finder Book was written by David Burch, director and course author of Starpath School of Navigation. 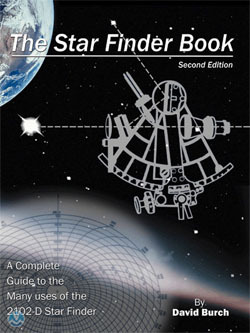 This celestial navigation book lays out a complete guide detailing the many uses of the 2102-D (item #150) Star Finder. It turns the Star Finder into a hand-held planetarium by aiding the navigator with star and planet identification and height and bearing predictions. Dit boek hoort bij de Star Finder 2102-D.